Many people neglect the importance of thyroid health. Estimates show that roughly 30 million Americans suffer from thyroid disease. That number excludes people who don’t even know they might have it. The most common thyroid disease that people experience is hypothyroidism. We will discuss this in detail below. The good news is we have a variety of natural thyroid supplements at our disposal. Natural remedies for hypothyroidism often carry fewer side effects than traditional thyroid medication. 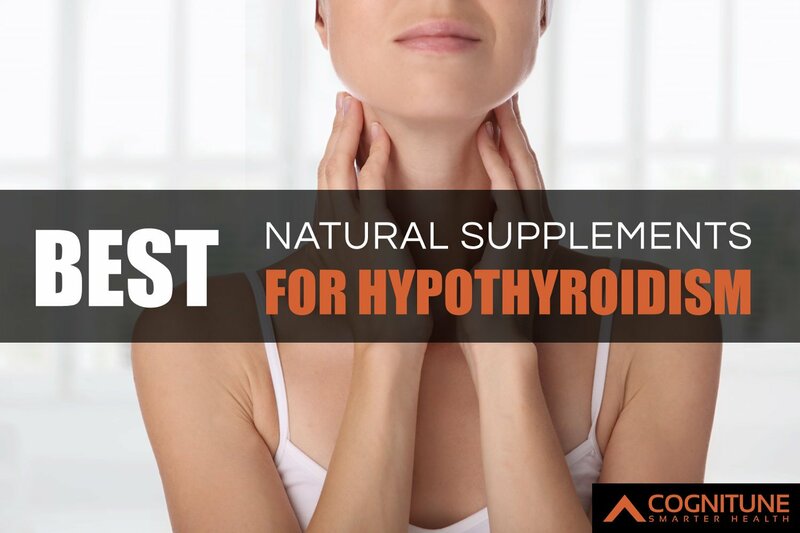 Today's article will focus on the best thyroid supplements for hypothyroidism treatment. What is hypothyroidism? To understand hypothyroidism, you must first understand how your thyroid gland works. The thyroid gland creates two hormones: T3 (triiodothyronine) and T4 (thyroxine). T3 and T4 form when the pituitary gland releases thyroid-stimulating hormone (TSH). TSH releases when your body’s thyroid hormones are low. T3 and T4 seep into the bloodstream and interact with various cells. The thyroid gland then helps regulate your body’s vital functions. In a healthy human being, T3 & T4 levels are neither too high or too low. Through homeostasis, the body produces more (or less) depending on its immediate needs. Hypothyroidism (underactive thyroid) occurs when your body has low levels of these hormones. In other words, the thyroid glands are not producing enough T3 and T4 to maintain equilibrium. Hyperthyroidism is the opposite, and this is when you have an overactive thyroid. Thyroid support supplements can restore healthy thyroid function naturally. Hashimoto’s thyroiditis is an autoimmune disease that often causes hypothyroidism. 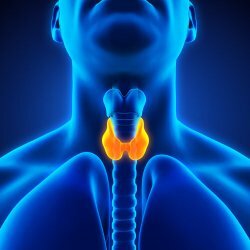 There may be a link between Hashimoto’s thyroiditis and thyroid cancer. More studies are underway to confirm this. Always consult with your primary doctor first to make sure this is not your issue. The 14 natural remedies we'll cover today are: Iodine, Vitamin B12, Selenium, Magnesium, Zinc, Copper, Manganese, Molybdenum, L-Tyrosine, Schisandra Berry Powder, Ashwagandha, Bladderwrack Powder, Kelp Powder, and Cayenne Pepper. Iodine is the most crucial element you need for treating hypothyroidism. It makes up the structure of both T3 and T4. T3 contains three iodine units, and T4 has four iodine units. Without iodine, you cannot produce optimal amounts of T3 and T4. Thus, iodine's primary role is to control thyroid function. Its contributions in the body make it a vital thyroid health supplement. If you're going to supplement iodine, there are two recommended ways to use it. One is through a salt available as potassium iodide. Since the body rapidly absorbs it, you will have to ensure that you don’t take too much of it. The other way is through chelated iodine which derives from seaweed-based foods. Unlike potassium iodide, chelated iodine is slower to absorb. Slow absorption ensures a steadier release of iodine into the body for your thyroid to use. With that said, you can also increase iodine intake through your diet. 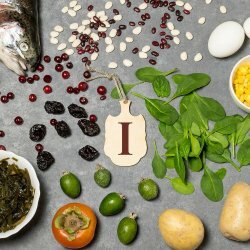 Foods rich in iodine include eggs, milk, seaweed, bananas, cheese, and tuna. Eating right is one of the best home remedies for hypothyroidism. It’s important to avoid consuming too much iodine, as it can lead to potential thyroid damage. Another natural thyroid supplement is vitamin B12. This water-soluble vitamin is essential for proper cell metabolism. It's also responsible for nerve cell function and reducing brain fog. Studies show that 40% of hypothyroidism patients are also deficient in vitamin B12. At a closer look, it appears hypothyroidism often causes a vitamin B12 deficiency. It does so by impairing your ability to absorb B12. Symptoms include memory loss, lowered appetite, constipation, and low energy levels. For this reason, medical experts recommend that patients opt for vitamin B12 supplements. They are generally better absorbed by the body than dietary sources of vitamin B12. Vitamin B12 supplements are available as a pill, a liquid, or as an injection. You will have to work with a physician to see which dosage method works best for your body. Any good thyroid support complex will include vitamin B12. Many of the best nootropics also contain B12 to enhance brain function. The key here is that the B12 is methylcobalamin, the easiest form to absorb. There are foods you can take to elevate your vitamin B12 levels. Foods high in vitamin B12 include peas, beef liver, and grass-fed beef. Selenium is an overlooked yet essential natural supplement for thyroid health. The body needs selenium for building the enzymes that convert T4 into T3. T3 is the more active thyroid hormone of the two. Selenium supports the thyroid gland by reducing inflammation. It also removes substances which may harm the thyroid. People who are deficient in selenium may fall ill. That's because selenium is an integral part of immune function. 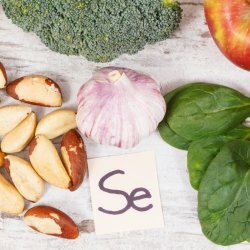 Like iodine and B12, the body does not naturally produce selenium. 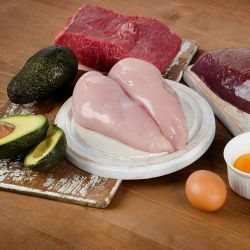 The only way to address selenium deficiency is through diet and supplementation. Selenium is often available as a standalone supplement, or as part of a multivitamin. Foods that contain selenium include Brazil nuts, poultry, and dairy products. Overconsuming selenium can lead to problems such as sleep issues and anxiousness. It is important to remember that selenium and iodine work together. Thus, you should treat both nutrient deficiencies at the same time. Make sure your thyroid support supplement contains both items. This blog was used with permission with Cognitune Smarter Health.